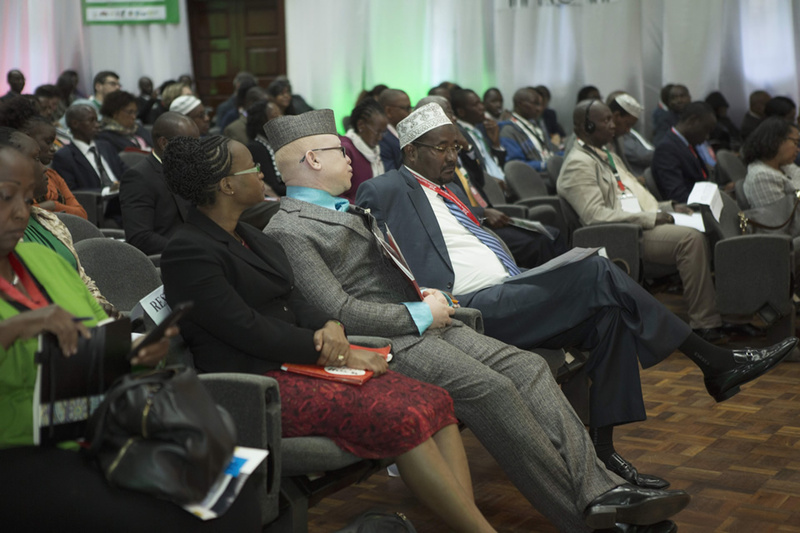 Images courtesy of Kenya Social Protection Conference 2018. 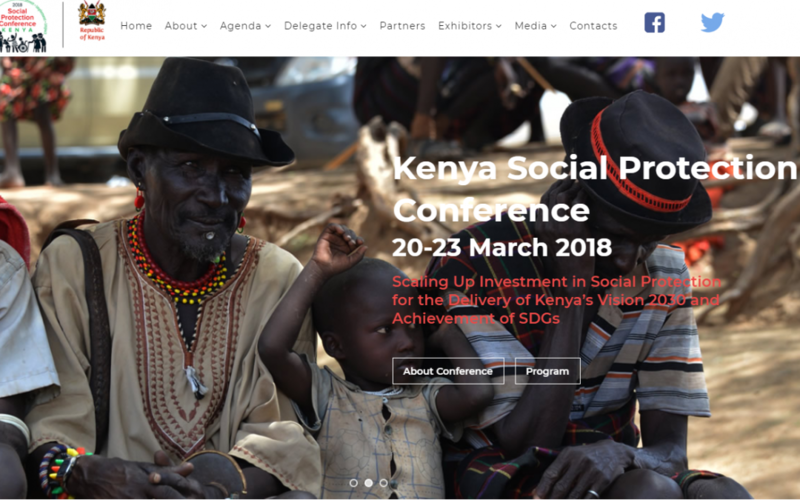 SOCIEUX+ was asked by the Kenyan authorities to uphold the national dialogue that will be held in several steps and roundtables throughout 2018, starting with the 2018 National Social Protection Conference held in Nairobi on 20-23 March, 2018. 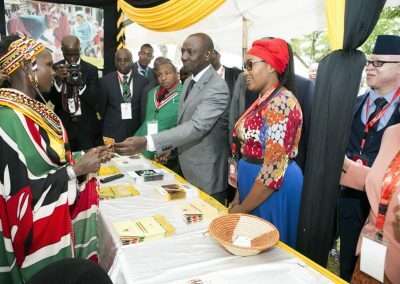 Although the constitution of Kenya, the National Social Protection Policy (2012), and a set of legislation provide for social protection schemes, these remain mostly concentrated on social assistance programs aimed at the poorest part of the population. Only about 10% of the households are accessing any form of social protection, indicating that a large proportion of the population are still left out of any form of intervention and underscoring the imperative need for increased expansion of programs. 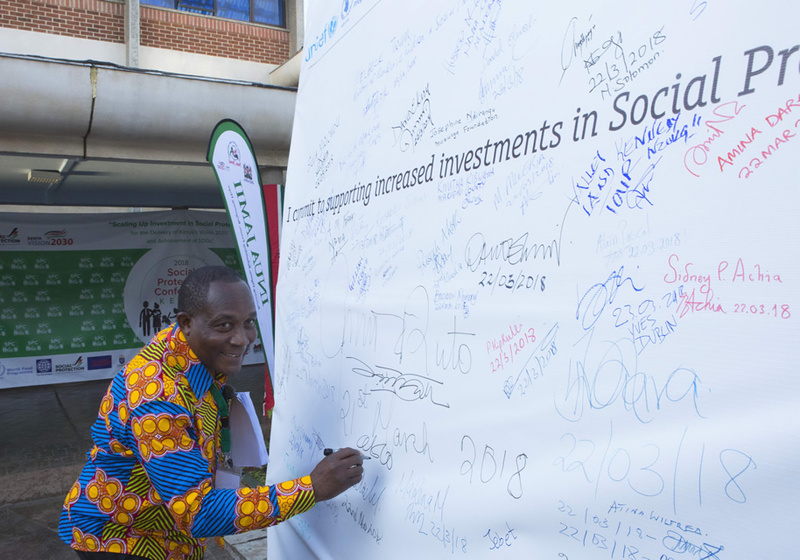 In this regard, the Social Protection Secretariat organized a National Social Protection Week for the same time as the conference, with the theme “Scaling up investment in social protection: a contribution to the delivery of Kenya’s Vision 2030 and the achievement of the SDGs”. The aim of SOCIEUX+ participation was to support EU experts to take part in a side event jointly organized by SOCIEUX+ and ILO on the themes of employment injury insurance, maternity benefits, and social dialogue for social protection. 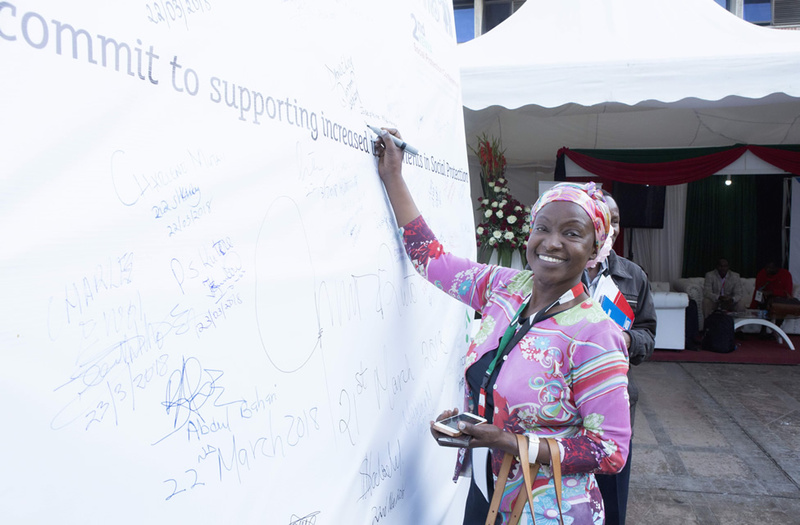 The hope was that this event would start a dynamic discussion on the progress of social insurance in Kenya, based on the full participation of social partners (the government, unions, and employers’ associations). 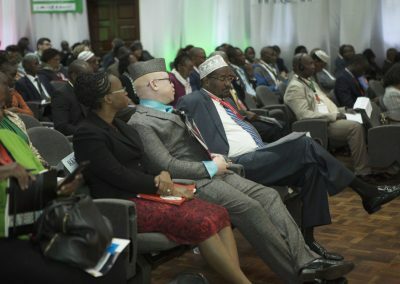 Participants in the panel included representatives from the Kenyan Ministry of Labour and Social Protection, the Federation of Kenya Employers, and the Central Organization of Trade Unions (COTU) in Kenya. 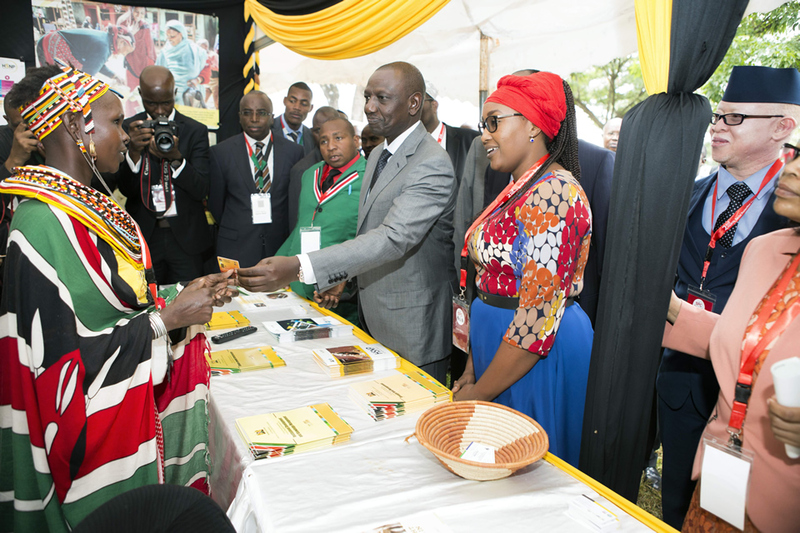 The presentations were a starting point for Kenyan tripartite constituents to re-engage in the issues around employment injury insurance and maternity protection reforms. 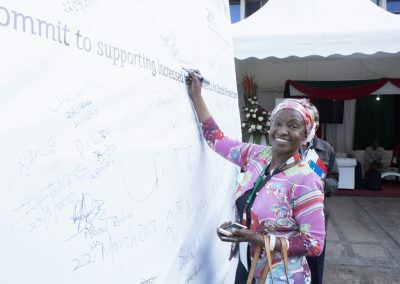 Debates were rich, and led to a renewed commitment by key stakeholders on these actionable areas, including the agreement to organize a roundtable discussion to revisit these issues. SOCIEUX+ 2018-03 KENYA, Act. 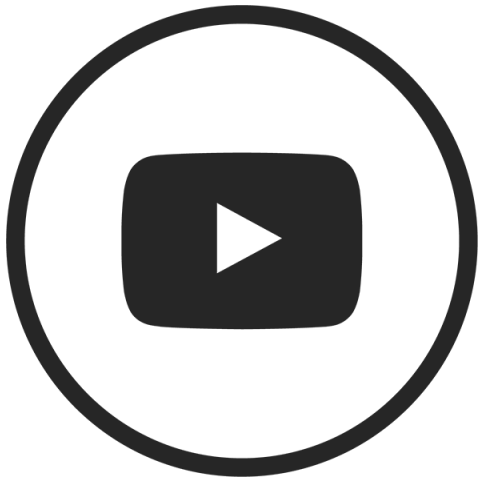 1 (March 2018).